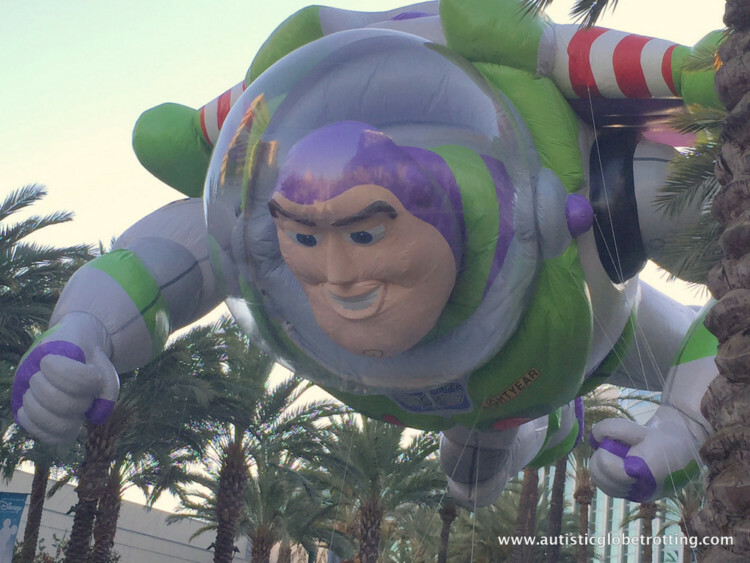 Attending the D23 Expo does not have to break your wallet. 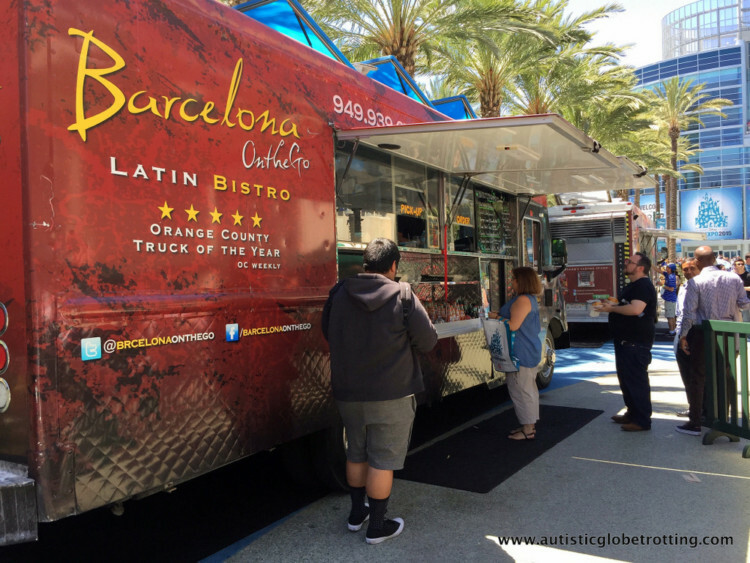 The Anaheim area is one of the more expensive destinations to explore in Southern California. Here’s how to you can still enjoy plenty of Disney magic on a budget. 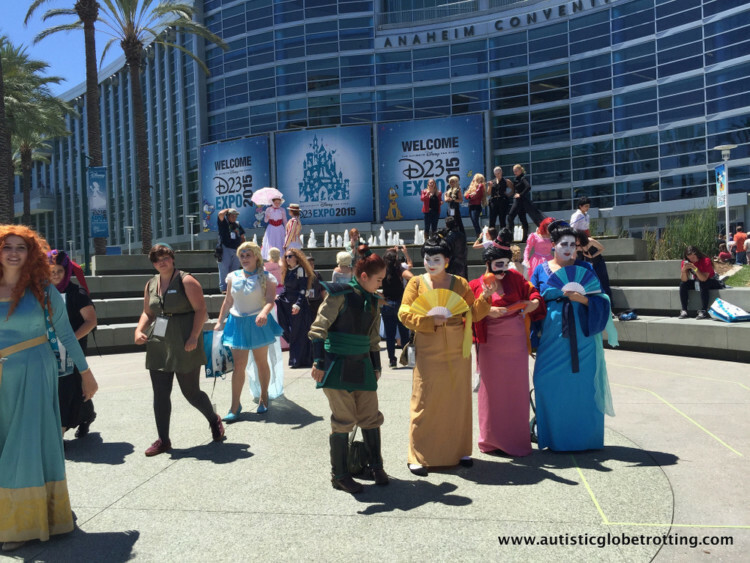 Every two years, Disney hosts its fans at the magical D23 Expo in Southern California. The 2017 Expo will take place in Anaheim July 14-16. 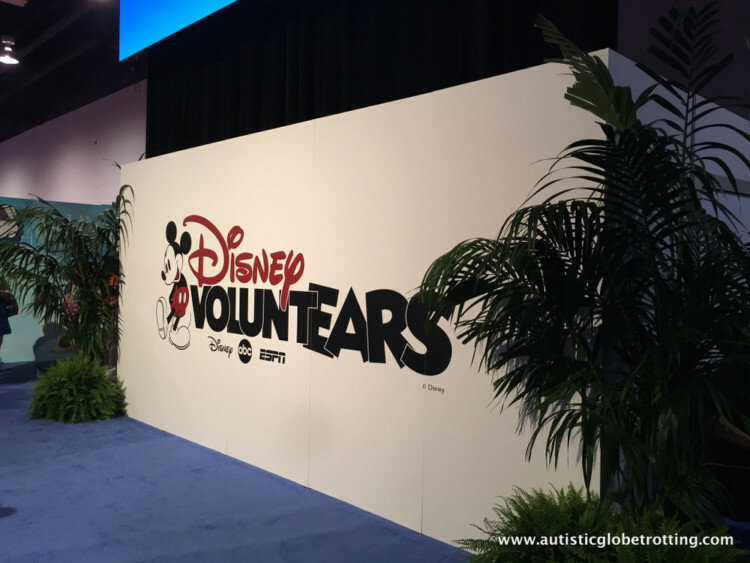 The D23 Expo includes exhibits, sneak peeks of future Disney movies, special celebrity appearances, and special presentations. There is also plenty of exclusive Disney giveaway swag and unique souvenirs available for purchase. But the D23 Expo can be very expensive. 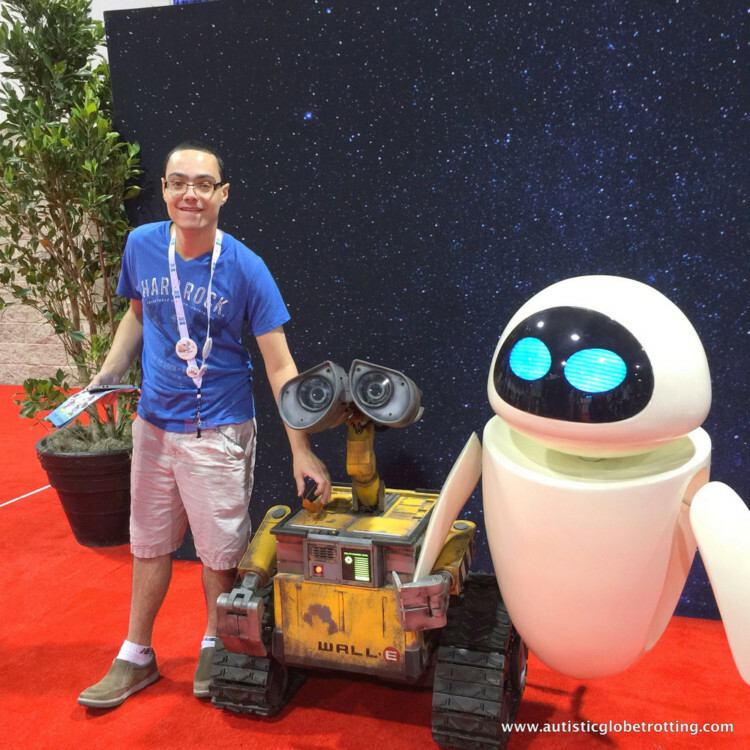 We attended the popular Expo back in 2015 and learned a few tricks and tips how to cut the costs. The truth is that lodging in the immediate area next to the parks and convention center is very pricey. After all, most people want to be able to walk to their destination with the minimum effort. As a result, the already high hotel room prices skyrocket, especially during a major event like this. Luckily, there is a straightforward solution for this. As we discovered last month during our visit, the trick is to stay outside the Disney parameter. Many of the hotels, such as the Buena Park Holiday Inn, are out of the Disney area but still provide free shuttles to the parks. Be sure you inquire about a shuttle before booking. Another budget option is staying in the nearby city of Garden Grove. For families seeking a more homey atmosphere services like Airbnb are preferable. Renting a private home can provide more comfort and is in many cases more budget friendly than commercial hotels. To save money on meals while at the Disney D23 Expo, leave the convention grounds and venture over to Harbor Boulevard. The major thoroughfare offers fast food, buffets, and sit-down chain restaurants. An excellent way to save some money when traveling with kids is to look for the restaurants that offer “kids eat free” promotions. Our favorites are Sbarro’s on Convention Way and the International House of Pancakes next to the Red Lion Hotel. Both are wallet-friendly. Another reason to leave the Expo for meals is that the food options like the food trucks and concession area will have a high volume of people all trying to eat at the same time. That means losing valuable time by standing in long lines. 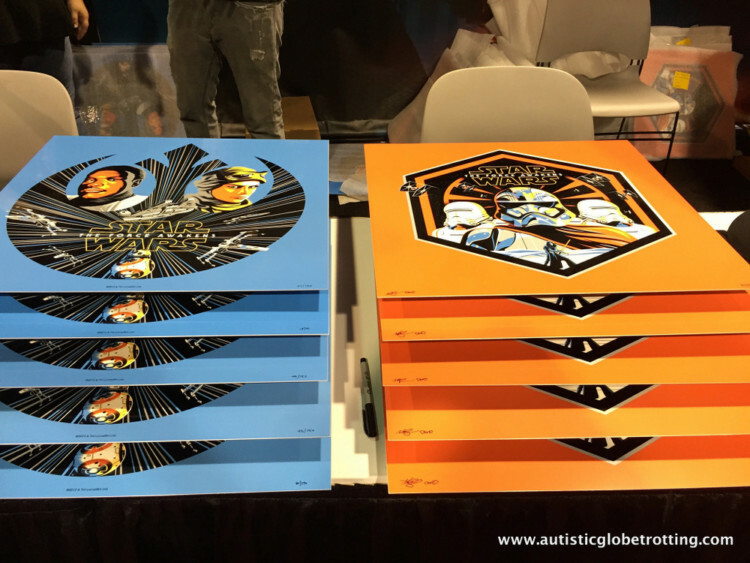 The Disney D23 Expo always has exclusive souvenirs available, but they can cost a pretty penny. Furthermore, expect to stand in long lines to purchase them! But if you have your heart set on souvenirs there’s a much more affordable way! 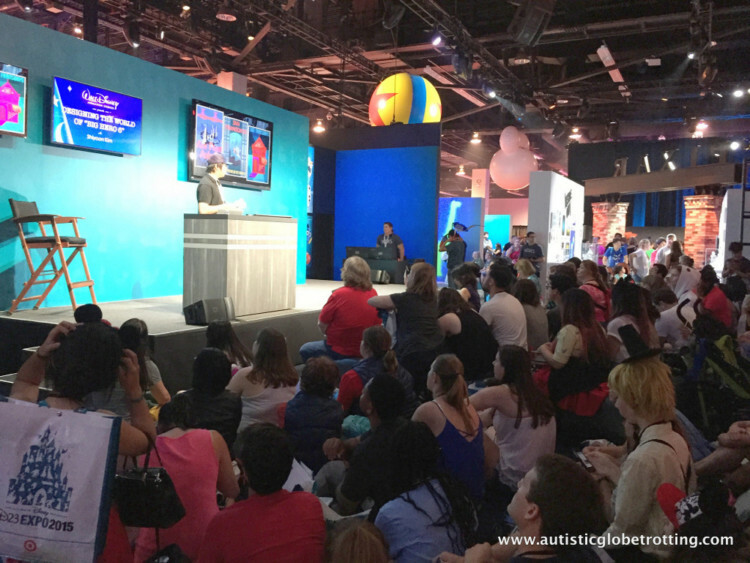 Photo Credit; Autism Traveling Mom Margalit FrancusThe trick is to look for freebies handed out by the different Expo booths. When we went in 2015, we were given a free tote bag and the official event booklets featured some unique trading cards. Furthermore, many booths gave out little trinkets like pens, lanyards, and pins. Best of all, some panels handed out one of a kind posters that we regretted throwing away instead of collecting. As we later discovered, they were quite valuable to collectors and were sold on eBay. The Disney D23 Expo offers free wifi inside the Convention Center. Even though some companies offer unlimited data, there is typically small print somewhere in the contract that service will slow down after using a certain amount of data. The free D23 wifi means guests can use their D23 Expo app and social media for free. Considering guests and their families spend hours upon hours at the Expo, staying hydrated is a must. An excellent idea would be to fill a bottle with ice cubes so the water stays cold for several hours. Another is to bring a metal bottle that keeps the water chilled. By bringing in refillable water bottles and filling them at the Expo’s water fountains, families can save significant money. 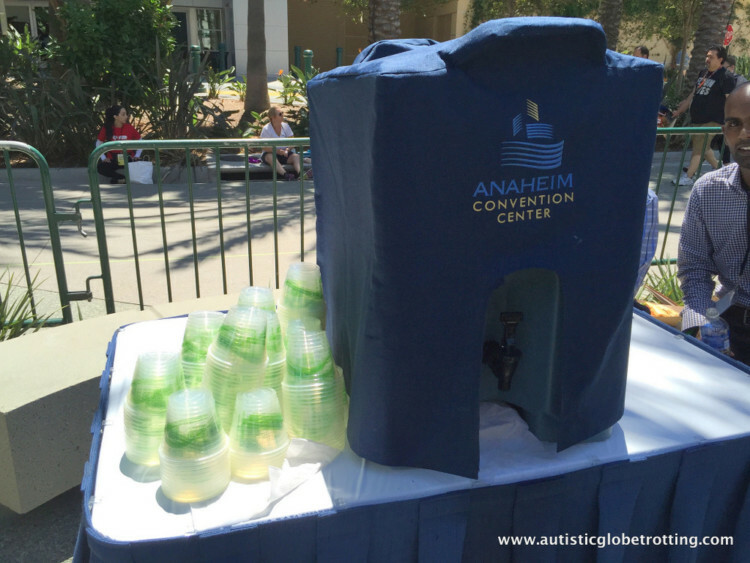 During the last Expo, the city of Anaheim offered free cold water at several stations outside the Convention Center, too. 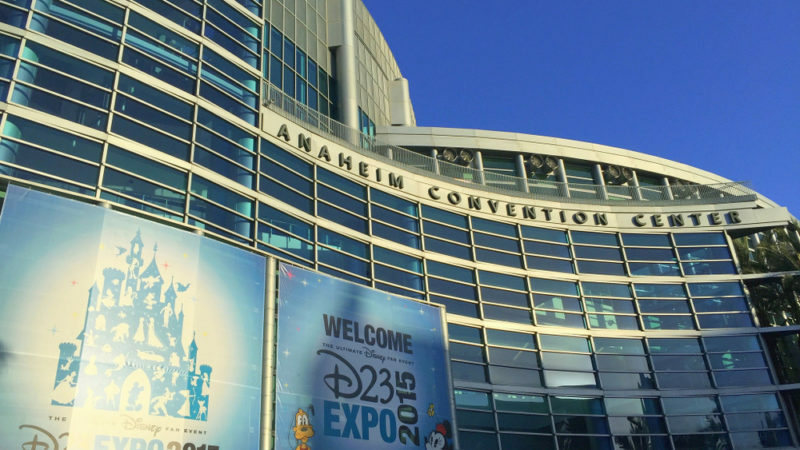 Parking at the Disney D23 Expo could get very costly very quickly. The Convention parking lots and their nearby Disneyland counterparts fill up very fast. One way around this is to use your hotel’s free shuttle service to come to the venue. If a hotel shuttle is not available, there are services like the Anaheim City Shuttle that guests can use. Lastly, if the previous two suggestions are not feasible, then there are always services such as Uber and Lyft. Rates are reasonable, and sometimes riders can score an extra $10 off coupons through various offers. We got a $15 off through our American Express credit card. Read our tips on using Uber, Lyft and other ride-sharing services with kids. This one may not be the best saving tip, but you may still enjoy the benefits. Joining the Official Disney Fan Club will give you a 10-20% discount on the entrance ticket. As we discovered, the best perk for the D23 membership (if you join at the Gold level) is getting into the Expo an hour earlier than other guests! Our son loved that! Other benefits include a magazine sent home four times a year, discounts for hotels and venues as well as the ability to partake in exclusive events. 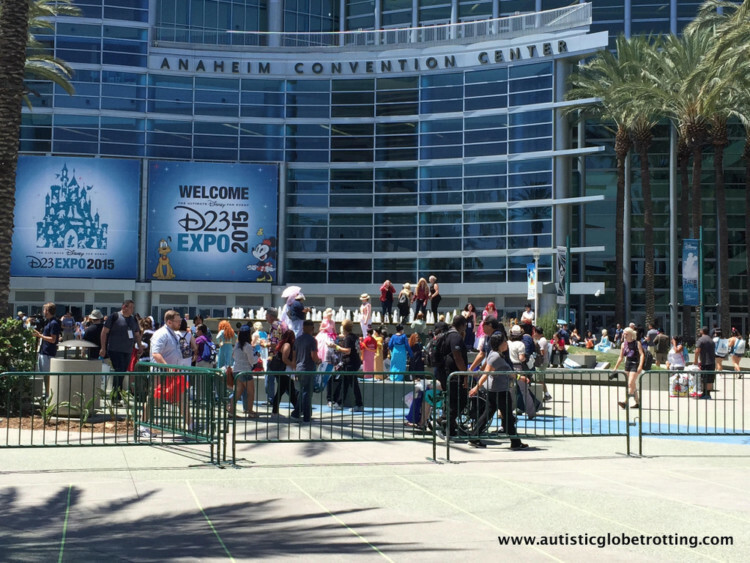 Have you been to the Disney D23 Expo? 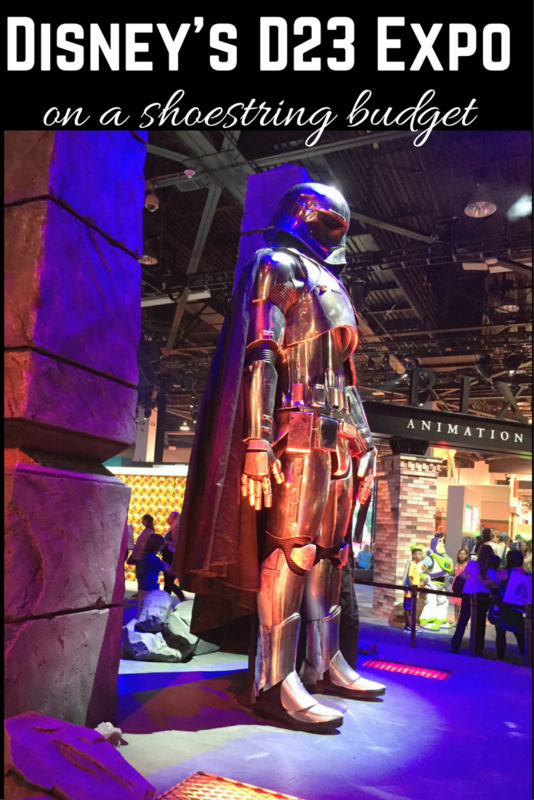 What are your tips for saving money at the D23 Expo?